With mobile apps, banking automation and blockchain already transforming financial services, financial institutions are now looking to regulation technology, or regtech, to meet compliance requirements. How can AI help your business grow? 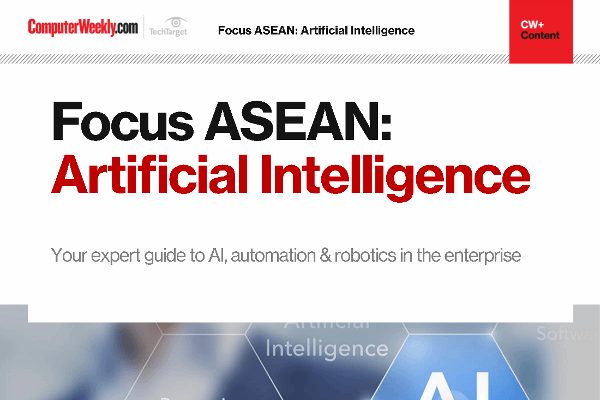 Download this e-guide to learn about the real life applications and challenges of AI in finance, security, marketing and more. But technology has been used to address regulatory requirements for some time now, so what’s new and exciting about regtech? And what difference does it make in financial markets? Will it be the next disrupter when combined with financial technology or fintech? The key differentiator of regtech is agility. regtech allows the use of advanced technologies to extract, transfer and load data sets that are cluttered and tangled to create consumable information. This is done quickly and efficiently, giving businesses the agility to solve real-world problems and stay ahead of the competition. Machine learning: As the volume of data analysed for various types of compliance increases, systems that use machine learning will become indispensable for the regulatory success of companies. Example: Onfido delivers next-generation background checks, helping financial services organisations and other businesses verify the identity of any person remotely using machine learning technologies. Big data analytics: regtech uses analytics tools to intelligently mine existing “big data” data sets and unlock their true potential, for example, using the same data for multiple purposes. Example: Scaled Risk is a financial software that integrates in-memory analytics and big data to provide real-time, scalable, and flexible risk management solutions for banks and other financial services companies. Cloud computing: The requirements of regulators change quite frequently, especially in comparison to other reporting demands. Regulators routinely revise their requirements, record the updates and enact additional regulation. Cloud computing offers the agility to successfully respond to changing processes. It also delivers cost-effective applications and efficient modelling of new regulatory demands, along with technology that can be easily upgraded. Because cloud-based solutions provide all these attributes, they are integral to the long-term viability of regulatory processes. Example: FundApps, a cloud-based platform, automates shareholding disclosures by organising regulatory information, combining regulatory compliance content with technology. Companies using regulatory technology are adapting to new technologies and sophisticated data analytics to glean the information they need to make the right risk decisions. In the coming years, we can expect this disruption to make regulation highly data acquisitive, with the use of real-time information and incorporation of algorithms and analytics. While there are regtech startups in Europe and the US, governments across the Asia-Pacific region are exploring ways to enhance the development of regtech to meet their compliance obligations. Countries such as Hong Kong and Singapore are determined to establish themselves as fintech hubs in Asia, and are now paying closer attention to the regulatory side of fintech, particularly regtech. 2016 may have been the year when you heard about regtech, but 2017 is going to be the year when you’ll understand that your business can’t run successfully without it.